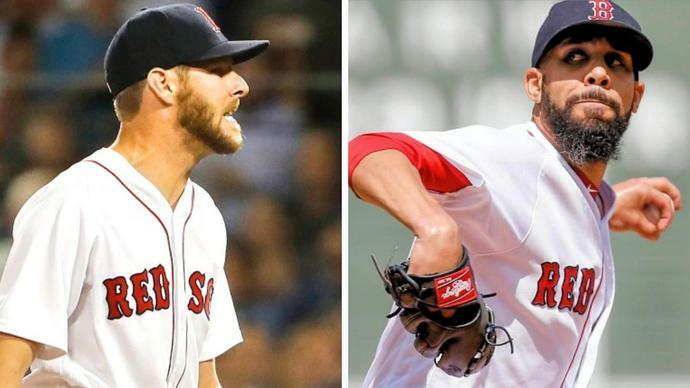 Whether it's the Los Angeles Dodgers or Milwaukee Brewers visiting Fenway Park for Game 1 of the World Series on Tuesday night, they'll be facing Chris Sale on the mound. And "most likely," David Price in Game 2 on Wednesday, Red Sox manager Alex Cora said Friday. Cora told WEEI's "Ordway Merloni and Fauria" show that he'll have meetings on Saturday to talk about the rotation. "Yes, Chris Sale is our No. 1 starter. Most likely David will be Game 2," Cora said. "… We'll figure it out. We'll talk about it [Saturday] as a group, but Chris is ready for Game 1. We'll decide about Game 2, 3, and 4. Let's enjoy this one." Games 3, 4 and 5, if necessary, will be in L.A. or Milwaukee. Games 6 and 7, if needed, will be back at Fenway. Nathan Eovaldi and Rick Porcello are the other Red Sox starters. Sale spent Sunday night at Massachusetts General Hospital with a stomach ailment but joined the team in Houston on Tuesday before Game 3 of the ALCS. Coming off an end of the season where his innings were limited after two disabled list stints with shoulder inflammation, he allowed two runs on one hit, struck out five but uncharacteristically walked four and hit a batter in the Sox' 7-2 loss in the ALCS opener at Fenway Saturday night. Price got his first postseason win Thursday night in the ALCS Game 5 clincher in Houston. As for changing the roster for the series, perhaps adding knuckleballer Steven Wright, whose knee issue kept him out of the first two rounds of the postseason, Cora was non-committal. "We'll talk about it the next few days," he said. "It was good to see him [Wright] back on the mound [for a bullpen session] and pushing himself to be available, but I think it is too soon to talk about roster decisions. We don't even know who we are going to play." The Dodgers have a 3-2 series lead on the Brewers in the NLCS, with Game 6 Friday night in Milwaukee.